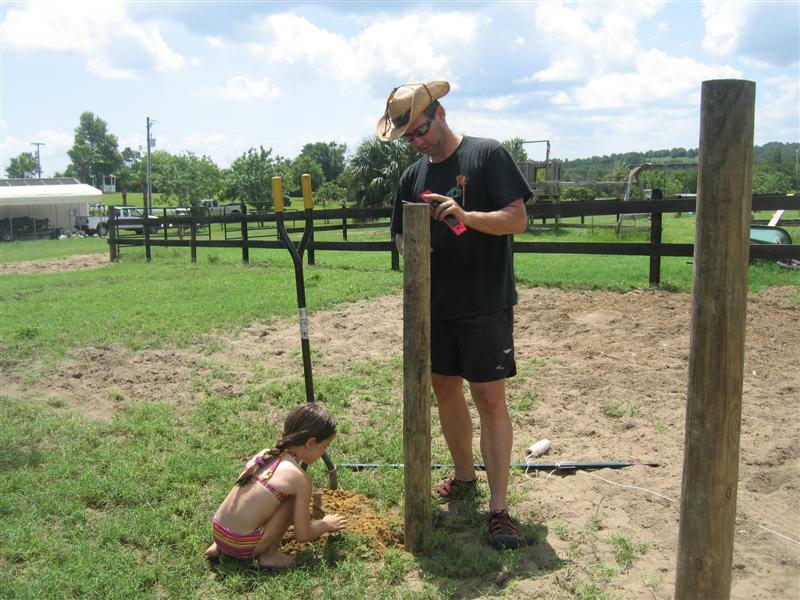 Sunday was ‘build the horses paddocks’ day. We had some issues with Uno(the gray Arabian) last week, and had to keep him off the pasture for extended periods. Ashley’s Blog (equinechick link on left) has more details. 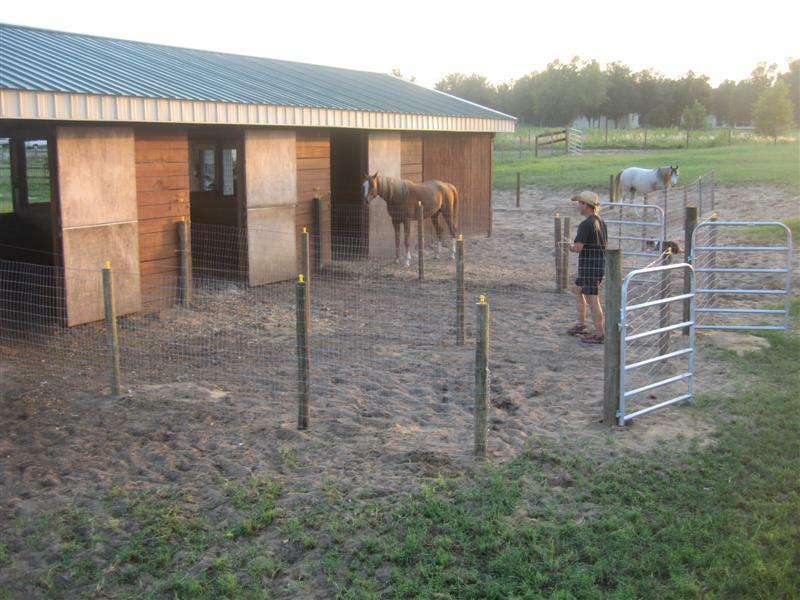 For a while we’ve been planning to build paddocks off the backs of the horses stalls, so we could keep them contained in the barn, but they could also walk outside. I hate keeping a horse locked up in a 12 x 12 stall. With Uno needing to be kept in more, today was the day to get it done, and I had help off and on from Emily, William and Ashley. By the end of the day, all was complete and all three horses have some extra space. This entry was posted on Monday, August 6th, 2007 at 5:18 am	and is filed under Family. You can follow any responses to this entry through the RSS 2.0 feed. Both comments and pings are currently closed.